It appears we had two bad picture here, so we tried to get it right. 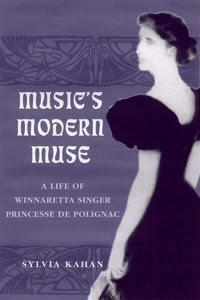 I am quite fond of modern classical music from the early 20th century, so I have been quite taken by Sylvia Kahan's weighty and scholarly biography of Winnaretta Singer, Princesse de Polignac, entitled Music's Modern Muse. This book trumps the rather salacious Food of Love by Michael de Cossart which emphasized Singer's love life while giving short-shrift to her considerable contributions to music in the early 20th century. Winnaretta Singer may have been number 20 of the 24 children of sewing machine entrepreneur and bigamist Issac Merritt Singer, though Singer didn't keep really great records of all of his children, nor of his "wives" for that matter. 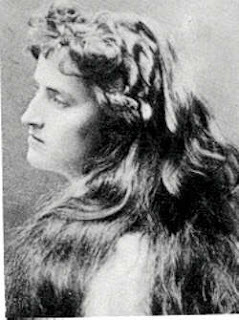 At 22, Winnaretta was sent to Europe for "good marriage" making her part of group of mockingly dubbed "Dollar Princesses", rich Americans who married for titles. 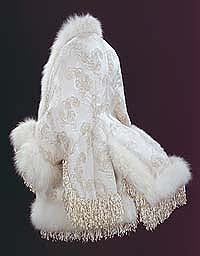 Her next Prince, Edmond de Polignac, had no desire to touch Winnaretta and they lived happily ever after, untill his death in 1901. Winnaretta Singer put her wealth to good use funding many modern composers and artists. Composers aided by Singer are a virtual Who's Who of modern music: Igor Stravinsky, Erik Satie, Darius Milhaud, Francis Poulenc, Kurt Weill, Germaine Tailleferre, Nadia Boulanger, and Ethel Smyth. 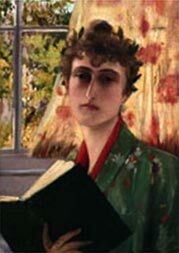 At her Salon in Paris she entertained not only composers, but writers and artists like Marcel Proust, Isadora Duncan, Jean Cocteau, Claude Monet, Serge Diaghilev and Colette. 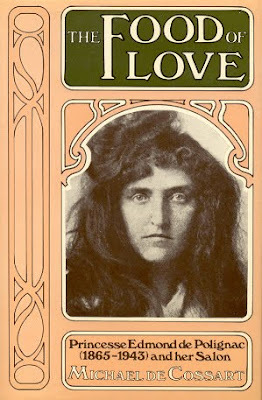 Music's Modern Muse weighs in at over 500 pages full of musical nuance. It is the relationship with the music that is the key to this biography. My only regret is that there is no accompanying CD tucked in the back of the book! a wonderful post. Just lovely. Has anyone written to you about the fact that these posted pictures are NOT of the Winnaretta Singer you write about? I believe they are of a niece, but I cannot exactly remember. Sylvia Kahan could easily identify them for you. Thanks, Linda. We updated the post with the correct pictures.